NWA 6471 was purchased in Morocco (Western Sahara) in October 2010 and subsequently classified by Dr. A. J. Irving. 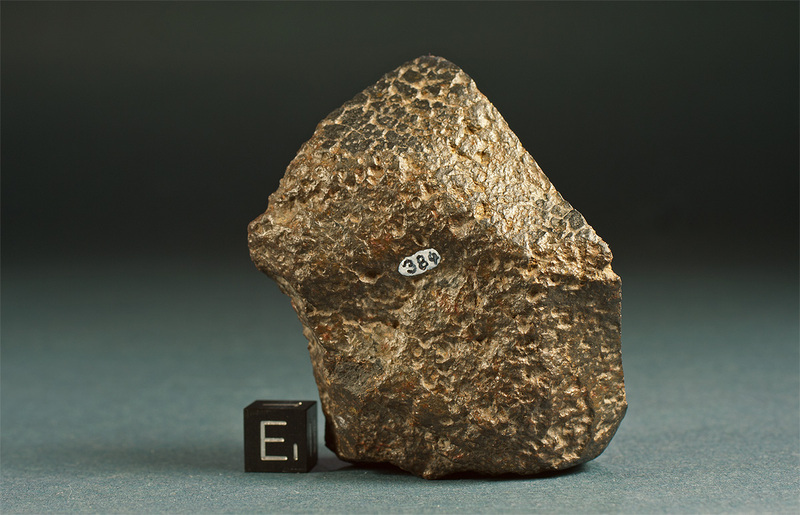 NWA 6471 is a coarse grained aggregate of olivine (exhibiting characteristic reduced, metal-bearing rims) and orthopyroxene. 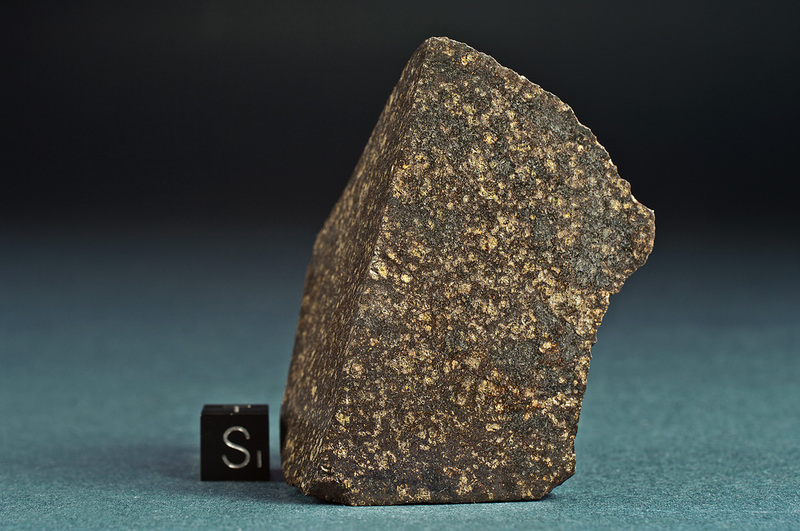 The sample has two polished cut surfaces at right angles to each other, the reverse side shows the original surface and is coated with well preserved fusion crust.